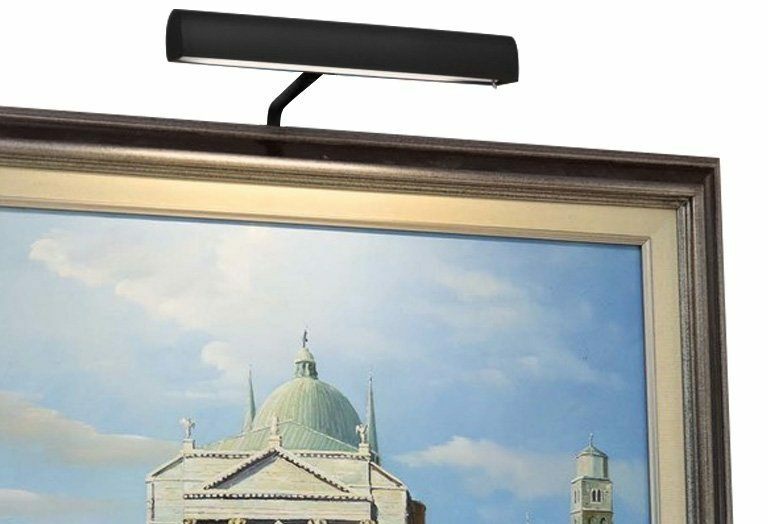 Cocoweb’s 10” Classic Plug-In Art Lights Offer Museum-grade Illumination for your Art! 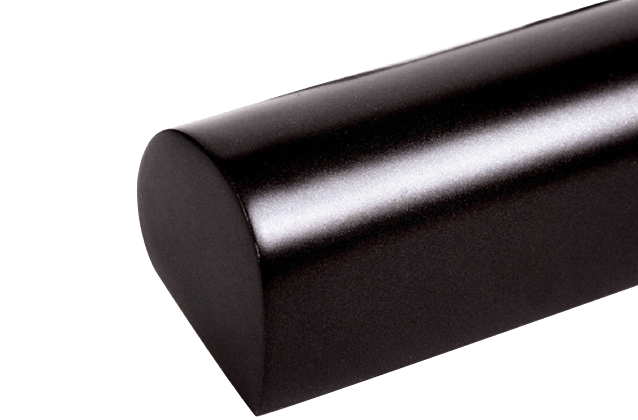 The 10" Classic Picture Light in Black draws inspiration from the design of classical, 20th century art lights and provides a timeless complement to both your art and frame. For fully adjustable lighting, the shade of this art lamp sits on a ball joint and extends from 5 to 8 inches, allowing the light to illuminate artwork of any thickness at any angle. The 10" Classic Picture Light uses 12 LED nodes to light artwork in a warm and vibrant illumination. Cocoweb LEDs are rated with a Color Rendering Index (CRI) of 90+ for museum-grade lighting that brings out the best in your artwork. The Classic Plug-In Art Light is powered by means of an 18 foot AC adapter, which fits into any standard electrical outlet. 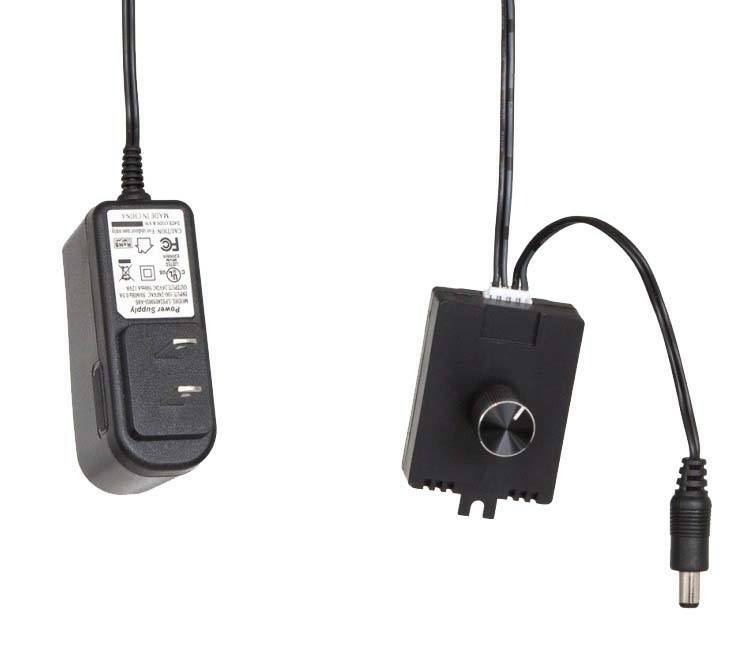 The light also includes a Cocoweb-exclusive Electronic Dimmer: this dial wires directly into the power cord and allows you to adjust the brightness of the lamp up to a maximum of 480 lumens. The dimmer enables true display lighting that's fully adjustable to best accent your artwork.